Mr Trump says the deal is “one-sided” andÂ he believes renewed economic pressure will force Iran to agree to a new dealÂ and end its “malign” activities. The imposing of sanctions followsÂ Mr Trump’s withdrawal from the 2015 deal earlier this year. Only the US has withdrawn, with other signatories remaining committed to the original agreement. But Iran’s currency has lost almost half of its value since, squeezing the economy. 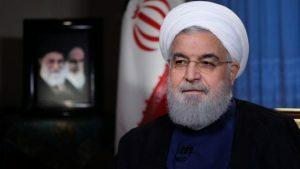 The post Iran sanctions: Rouhani condemns US ‘psychological warfare’ appeared first on Citi Newsroom.